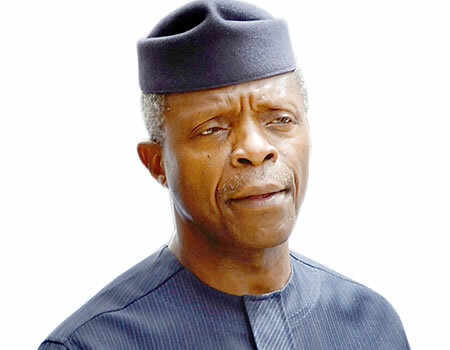 VICE President Yemi Osinbajo is expected to lead other top government officials on 400 hours non-stop praise to God towards the celebration of the 57th Independence Anniversary of the country. Briefing newsmen in Abuja on Tuesday, the Chaplain explained that the event was also meant to mark the exit of Nigeria from recession and to thank God for the safe return of President Muhammadu Buhari from his medical vacation. Pastor Malomo said the session would similarly seek God’s help for the administration and the country to overcome the economic problem in the country. “A year after that event, and just a few days ago, we received with cheerful hearts the good news that we are now officially out of recession. “As if putting icing on the cake, the news came after the whole nation joyfully received the return of our dearest President. “God only for us to gather together and return our thanks praise to this who responds and answers the heartfelt prayers of all Nigerians. Responding to a question on the level of participation in the programme by government, he said it was not unlikely that even though Buhari is not a Christian, he may show up at the event. However, he revealed that just like the last edition, Osinbajo is expected to lead other top government officials to the event. While noting that the event was open to all Nigerians, the Chaplain added: “The spirit of appreciation is the motive behind this event. “We are taught in all our cultures and faith, the principle of thanksgiving, to show appreciation for good deeds done to us. “Let us all be appreciative to God who has not just kept us together for these 57 years, but has blessed our nation with such resources of enviable potentials of land, minerals and great and resourceful people.